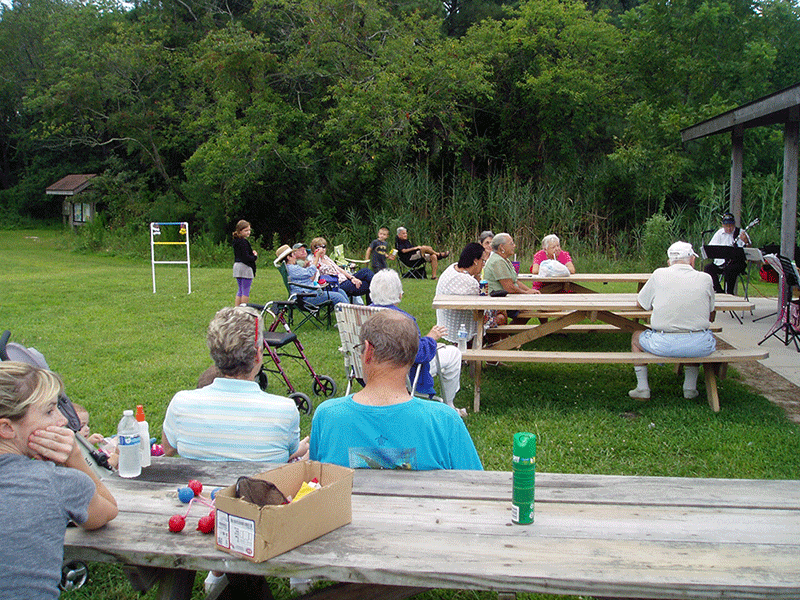 Holts Landing State Park, the Friends of Holts Landing SP, and the Inland Bays Foundation jointly sponsored our final Family Fun Night of this summer Tues. 8/18/15- 6:30- 9:30 pm at the park. We had a best turnout of the summer with families picnicking and participating in horseshoes,corn- hole, disk golf,ladder- golf, bonfire and marshmallow roast.The park naturalists led seining with fish identification, crabbing, clamming and star gazing with constellation identification. Live music was provided by the Back Bay Strummers. 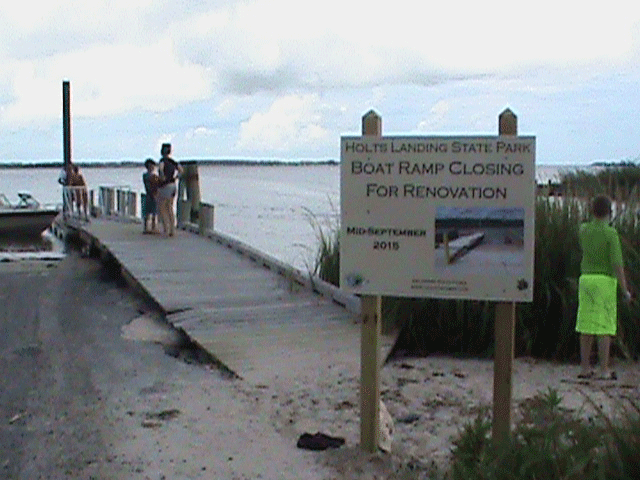 Update- The Boat Ramp will be closed for construction in September- The new ramp will feature a launch capacity for up to 30 feet boats And a separate kayak launch lane. Also coming in September is a new Fire Pit with semi circular seating.